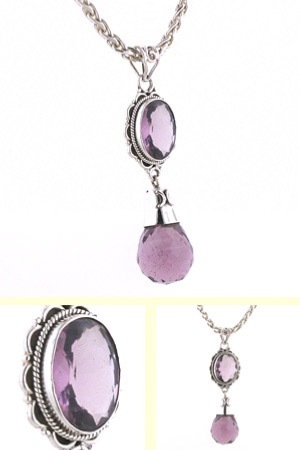 Amethyst silver pendant with briolette droplet. 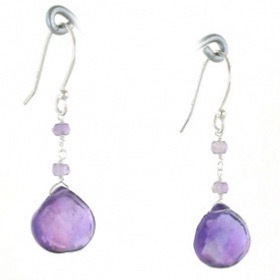 This wonderful pendant combines two clear, glittering amethyst gemstones. 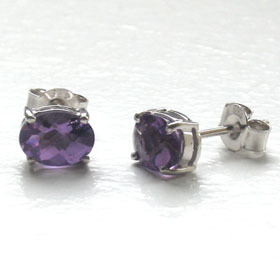 Both amethysts are faceted, the top amethyst is diamond cut and set into a classic frame, the droplet is a fancy cut briolette and set into a sterling silver cap. 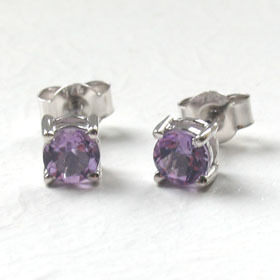 They are a beautiful heather purple colour. 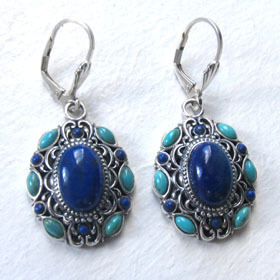 This retro style is very pretty and wears well high as a Victorian choker or at a standard length. 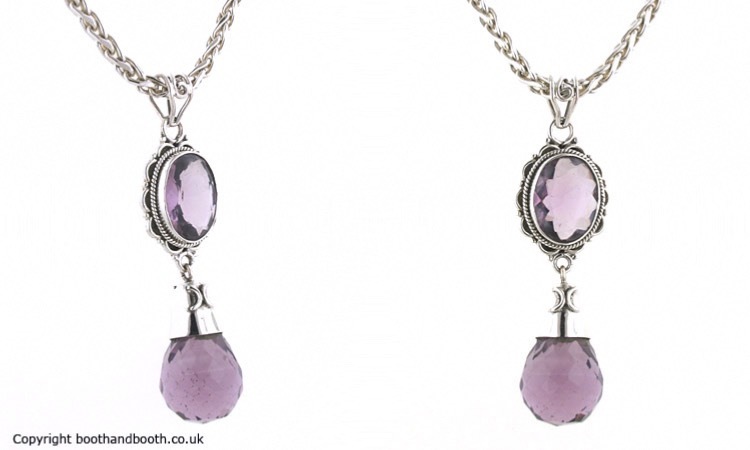 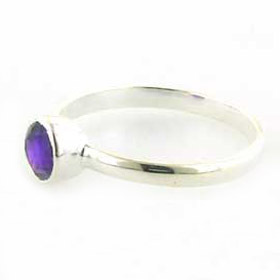 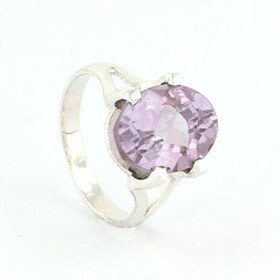 Enjoy free UK delivery on your amethyst pendant and sterling silver chain. 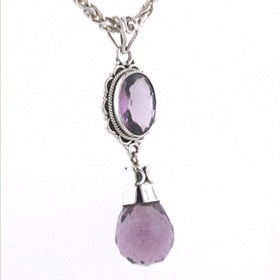 Choose from our unrivalled collection of Italian sterling silver chains to make this stunning pendant into an amethyst pendant necklace. 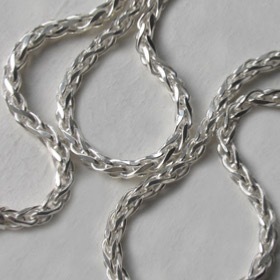 The chain shown in the photograph is our diamond cut 3.5mm silver wheat chain (see below).